I am posting 2 versions. They are both yummy! 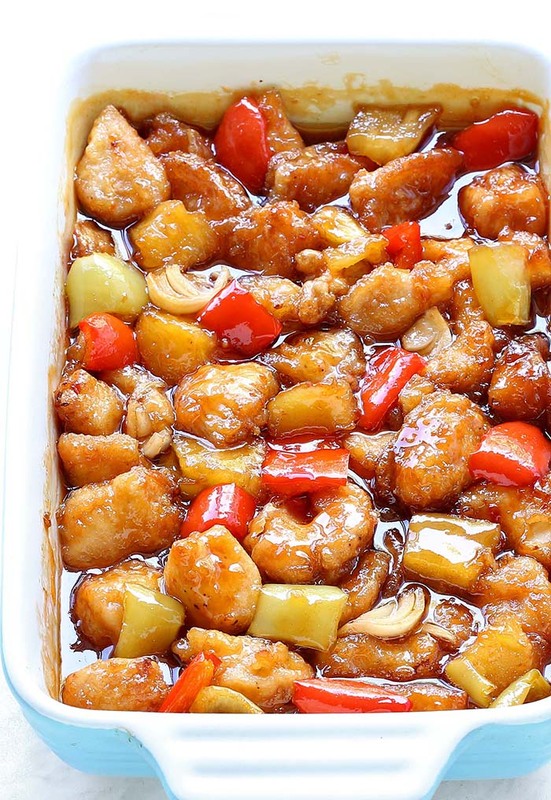 This sweet and sour chicken is really easy to make, with simple ingredients that you have in your pantry and four main steps. Once the chicken is cut into chunks and seasoned with salt and pepper, put the cornstarch and chicken into a Ziploc bag and shake the hell out of it, and then dip in lightly beaten eggs. You can dip chicken into flour, nevertheless cornstarch makes chicken crispier, while the egg will give the exterior a bit of a puffy texture. In at least two batches, fry the chicken in the hot skillet, making sure all sides are brown. Repeat until with the remainder of the chicken. Place in a pan. 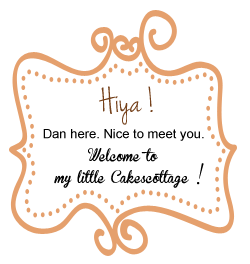 3 chicken breasts can be in a 9×9, and 5 chicken breasts fits better in a 9×13. 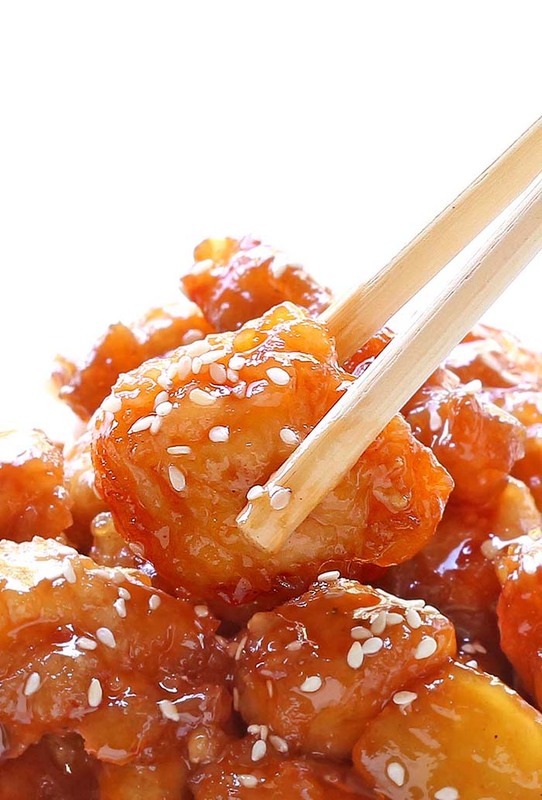 * (Optional) Take your sweet & sour chicken up a notch. 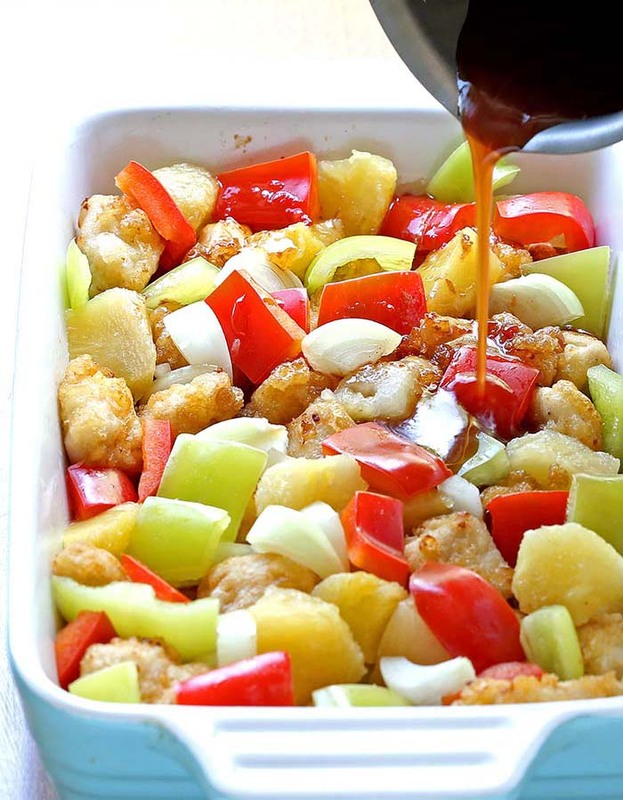 Sprinkle yellow onion, fresh pineapple and bell pepper on top before adding the sauce. The frying step is what makes the chicken crisp, however, you could probably coat the chicken, bake on a rack to drain the grease, then continue with the sauce/baking step. Make sure you’re using GOOD pineapple chunks. I like either a super sweet fresh pineapple or the frozen chunks. The most important component of the entire meal, this sauce is a combination of sugar, vinegar, ketchup, soy sauce, and garlic powder. 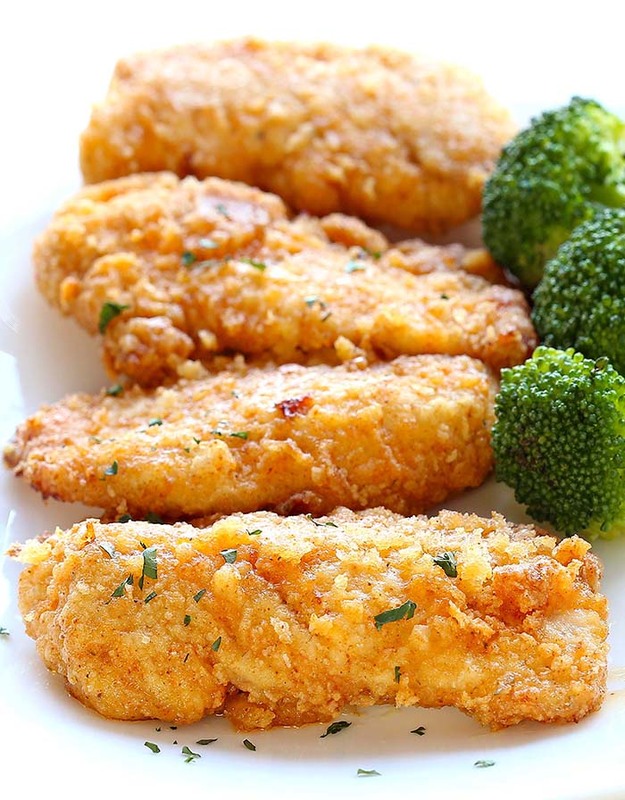 It is whisked together in a small bowl and drizzled over the pan-fried chicken in the baking dish. Vinegar, while baking, gives off a strong aroma, but the strong aroma/taste bakes off during the recommended time in the recipe leaving a delicious sweet and sour taste. You could change it up by using a different type of vinegar, or try with half vinegar and half pineapple juice for a milder taste (but you’ll lose a bit of the sweet and sour punch). 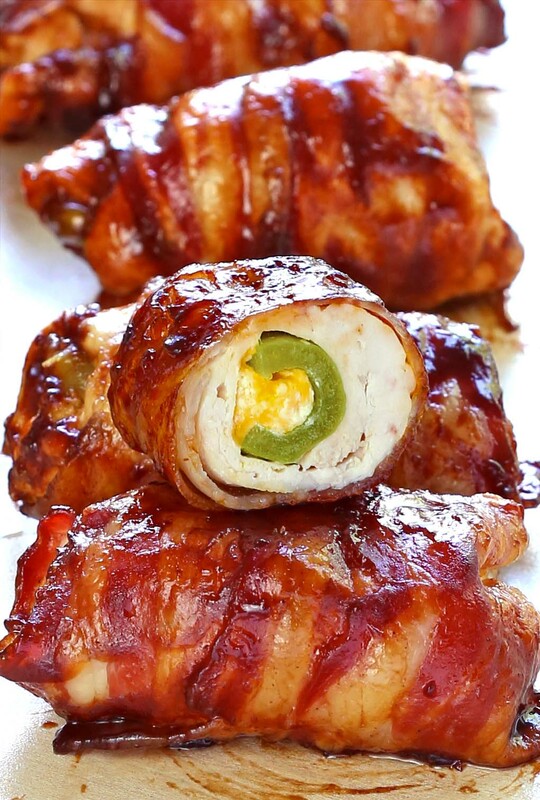 Bake for 50-60 minutes, turning the chicken once or twice while cooking to coat evenly with sauce. Garnish with scallions and sesame seeds. Serve over hot, steamed bed of rice, or soft Flour Taco shells. 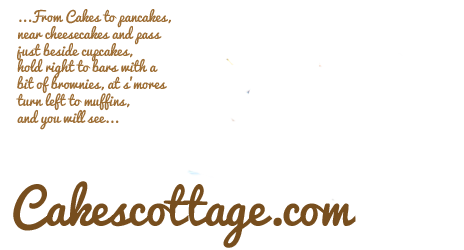 And yes, as always, the homemade version is always tastier and healthier since you know exactly what’s going into your meal! Put the corn starch and chicken into a Ziploc bag and shake the hell out of it. Dip the coated chicken pieces in the egg. 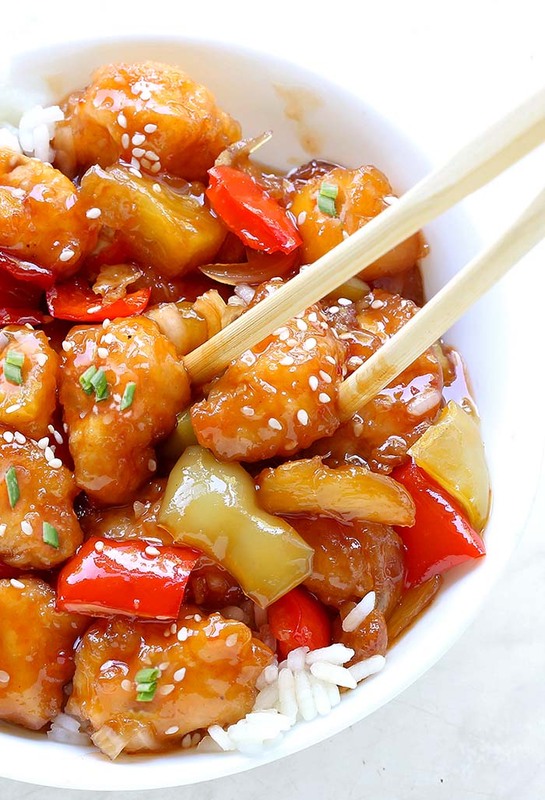 * (Optional) Take your sweet & sour chicken up a notch. Sprinkle yellow onion, fresh pineapple and bell pepper on top before adding the sauce. Mix sugar, ketchup, vinegar, garlic salt and soy sauce in medium bowl. Whisk until smooth. Then pour evenly over chicken. Turn chicken so the sauce gets on both sides. Bake for 50-60 minutes, turning the chicken once or twice while cooking to coat evenly with sauce.